Are you looking for a reliable carpet cleaning Burnley service? At Keep Clean, we are the leading specialists in carpet cleaning in Burnley and have a wealth of experience in providing effective cleaning services for both domestic and commercial properties. No matter how big or small the job, the expert team at Keep Clean will ensure 100% satisfaction every time. We know it can be tricky finding the right service for carpet cleaning in Burnley. At Keep Clean, we want to make things simple for you. Whether you need your carpets and upholstery cleaning in a residential or commercial property, we tailor our services to you. 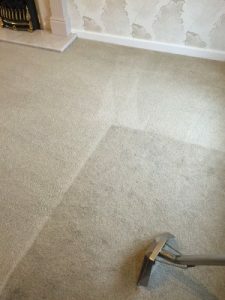 We use a number of different techniques to ensure the highest standard of carpet cleaning in Burnley for your property. We can arrange custom maintenance packages or carry out one-off cleaning depending on your needs and all of our cleaning techniques are detergent-free. The carpet cleaning Burnley team will schedule your appointment at a time that is right for you so that we don’t interrupt your day-to-day schedule or business. 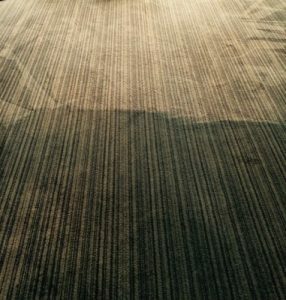 All commercial carpets are bound to get filthy with the amount of traffic they see each day, which is why it is important to invest in regular carpet cleaning in Burnley. Not only will it make your business look nicer but it will save you money by prolonging the life of your carpets or other flooring. At Keep Clean, our Burnley carpet cleaning team have a wealth of experience in working in commercial buildings such as hotels, restaurants, pubs and offices. We can create custom packages for small businesses for regular carpet cleaning in Burnley and no matter what material your carpet is made from, we have the safest tried and tested techniques for a thorough clean. The Burnley carpet cleaning experts also have the skills and equipment to get rid of even the toughest stains and germs including micro fungal organism neutralisation on hard surfaces within the healthcare industry. We are able to provide Urine Contamination Treatment for surfaces such as concrete and wood floors which is an ideal service for nursing and care homes looking for effective carpet cleaning in Burnley. At Keep Clean we offer domestic Burnley carpet cleaning for as little as £35. Firstly, we pre-vacuum your carpets before treating any individual spots and stains and then we use a specialist deep clean system with hot water extraction to remove all dirt from your carpets. Hot water extraction has been noted as the best form of Burnley carpet cleaning, removing all soiling from them. The cleaning process also acts as a conditioner for your carpets which will help increase their longevity. This cleaning method will also see your carpets dry within 2-4 hours, so that there is minimal disruption to your household. As well as our carpet cleaning Burnley service we can also clean your leather and fabric upholstery. We can use either a wet or dry method depending on the type of fabric that needs to be cleaned and our expert team for Burnley carpet cleaning will first test the fibres to ensure colours won’t run. Leather is prone to crack or fade over time if it is not professionally treated. At Keep Clean, we can prolong the life of your leather furniture with our specialist carpet cleaning Burnley equipment that will ensure your leather is kept looking as good as new. At Keep Clean, we can eliminate all kinds of stains and odours with our specialist products from Chemspec and Prochem. All of these products are environmentally friendly and will leave your carpets completely fresh. We guarantee that when our carpet cleaning Burnley team are finished, your home will smell as fresh as a daisy and your carpets will look brand new. We can also provide services for mattress cleaning which can help greatly if you are suffering from allergies. Everyone should get their mattress cleaned every so often, and our team for carpet cleaning in Burnley can eliminate dust mites, pollen, mildew, bacteria and viruses. It is suggested that in regularly cleaning your mattress it can reduce the symptoms of allergies, bronchitis and asthma, and at Keep Clean we are dedicated to providing the highest quality service for mattress cleaning. If you’re unsure if we can help you with a particular stain or material, do not hesitate to get in touch with one of our friendly team for Burnley carpet cleaning. We endeavour to provide honest and impartial advice about our cleaning services so that you can make a well-informed decision that suits your needs and budget. We have over 20 years of experience in Burnley carpet cleaning and have your best interests at heart. It can be difficult to find the time to enlist the help of a professional carpet cleaner which is why at Keep Clean we are happy to work to your schedule and after hours if necessary, as well as provide a same-day-service when needed. Your business or home will not be out of action for too long with the use of our air movers which allow for fast drying so you can get on with your day as soon as possible. There is no job too big or too small for our carpet cleaning Burnley service, so whether you need an entire office block or a few cushions cleaned, we will carry out each job with the same care and attention. If you are still unsure if our Burnley carpet cleaning can cater to your needs, get in touch with one of our friendly team who will be happy to chat to you about your options and help you find what you’re looking for. For the best carpet cleaning Burnley has seen, get in touch with Keep Clean today. Call us on 01706 411590 or email us at info@keepclean.co.uk.